SAN FRANCISCO (Bloomberg) -- Tesla Motors Inc.’s Model S sedan already ditched gasoline. Now two shareholders from Texas want the electric-car maker to stop using animal products as well. 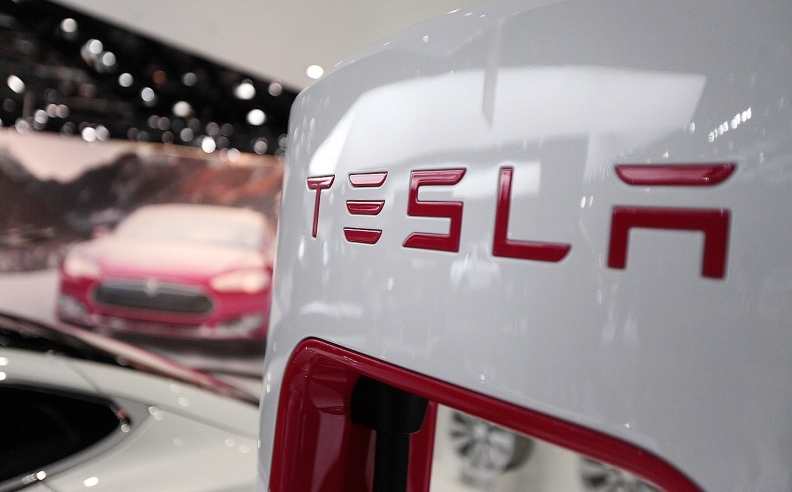 At the company’s annual meeting on Tuesday, Mark and Elizabeth Peters, shareholders from Hurst, Texas, urged Tesla to eliminate the use of animal-sourced materials for interior components, such as leather seats. One of their proposals would reduce the use of such products and eliminate them entirely by 2019. Another proposal asked Tesla to explore becoming the first “cruelty-free” premium car brand. The Model S can be ordered with leather-free seats, but it isn’t possible to order one that’s completely free of leather trim, said Khobi Brooklyn, a spokeswoman for Tesla. Elizabeth Peters said her husband, Mark, had to go through “extreme measures” to get her a vegan Tesla as an anniversary gift. Tesla’s board of directors recommended a vote against the two proposals, saying that exploring alternatives to leather might “impede or delay” the company by distracting it from higher-priority tasks. The result of the shareholders’ vote should be available within four business days, the company said. A representative from People for the Ethical Treatment of Animals later asked Tesla CEO Elon Musk if the animal-rights group could help the carmaker find vegan alternatives to leather. “We’ll look into it,” Musk said.